The 2017 Toyota 4Runner TRD Pro is one of the top off road cars available today. 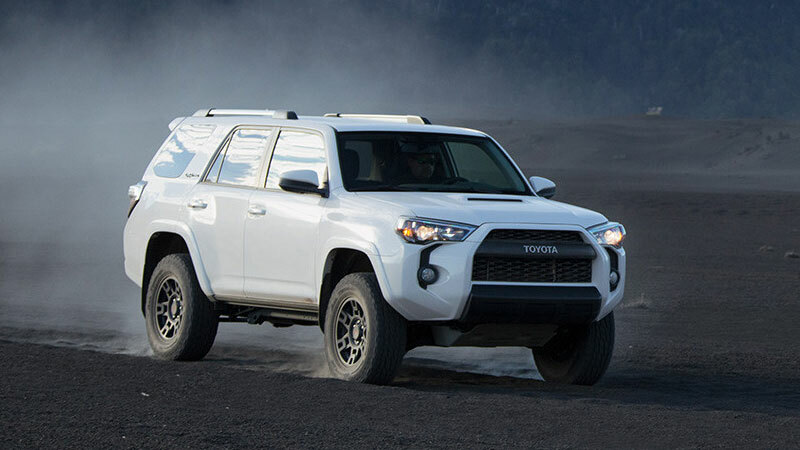 The popular auto manufacturer has included the TRD Pro package to the 4Runner which combined with the flexy coil-link rear suspension makes it one of the best cars to drive in rough terrain. The Toyota trail package included on the auto includes a locking rear differential and Crawl Control to help take some of the stress away for off road driving. The suspension features taller Eiback coils as well as remote reservoir Bilstein shocks. The stock engine in the TRD Pro is a 4.0 liter V-6 rated at 270 horsepower, and the auto can two up to 5,000 lbs. The gas mileage rating of the vehicle is 17 MPG (city) and 20 MPG (highway).